On the fringes of the industry are musicians who elevate an ok gaming experience into a truly great one. Retro Family are one such outfit. They’ve forged a formidable working relationship with Stockholm based developers – Might and Delight. Questions are answered by Walle Wahlgren. This is their profile! 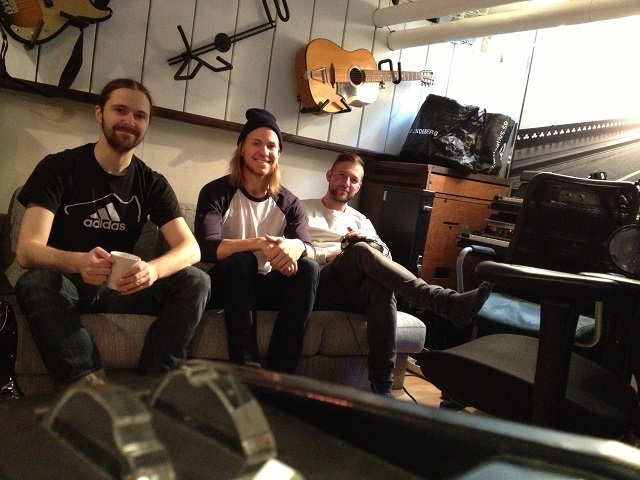 We are three musicians from Sweden, I Walle Wahlgren, Jokke Pettersson and Alfred Andersson. On Shelter 2 we had Adam Hagstrand instead of Jokke. We compose music for games and play it live in the studio. Chart your entry into the industry and your close relationship with Might and Delight? We started working on pre-demos for Might and Delight when they were just starting up. I’m close friends with Jakob Tuchten, who is the owner of M&D and was the art director for their first title Pid. They liked what we did and so we ended up doing the whole soundtrack and the trailer songs. Do you play games yourselves and if so are there any games you wish you love and wish you had made the music for? I mostly play retro games, right now I’m playing Baldurs gate, but usually Nintendo and Super Nintendo. YES! Of course the classics like Castlevania, Megaman, Gun smoke all have great music. But what I really think is the greatest old school soundtrack is Nemo the dream master that would have been great to be involved with somehow. Movie soundtracks, elderly games, personal experiences and songwriters. If you could impart a word of wisdom to any musicians wishing to work in the games industry, what would that be and why? Learn how to write music for a picture, painting or mood. Often we are presented with an illustration and/or an emotion and then we need to compose for it. So learn how to create songs for pictures. It is also very helpful to be able to play many different styles.